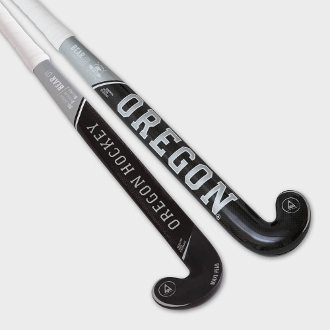 The black and silver field hockey stick Oregon BEAR1 offers a lowbow, with a special channel particularly made for flicks. Extremely rigid thanks to its 90% carbon, 5% Kevlar and 5% Linen fiber composition. This particular bow owns its success to amazing skills, perfect ball control and extreme power. Designed for drag flickers, with a special channel for the most controlled flicks, the stick gathers balance and perfect weight for maximum ball control.